MICHAEL A. VENTRELLA: Today I’m pleased to be interviewing Gray Rinehart, who is the only person to have commanded an Air Force satellite tracking station, written speeches for Presidential appointees, and had science-fiction-related music on The Dr. Demento Show. In his rather odd USAF career he fought rocket propellant fires, refurbished space launch facilities, “flew” satellites, drove trucks, processed nuclear command and control orders, and did other unusual things. Today, he is a contributing editor for Baen Books and the author of WALKING ON THE SEA OF CLOUDS (WordFire Press). His short fiction has appeared in Analog Science Fiction & Fact, Asimov’s Science Fiction, Orson Scott Card’s Intergalactic Medicine Show, and several anthologies, and as a singer/songwriter he has two albums of mostly science-fiction-and-fantasy-inspired songs. His alter ego is the “Gray Man,” one of several famed ghosts of South Carolina’s Grand Strand, and his web site is graymanwrites.com. Tell us about the plot of WALKING ON THE SEA OF CLOUDS! GRAY RINEHART: In the near future, commercial space activities have expanded to include the first asteroid mines, and the multinational Asteroid Consortium is establishing a lunar colony on the southern edge of Mare Nubium (the “Sea of Clouds”) as something of a “mining camp.” Environmental engineers Stormie and Frank Pastorelli and engineering “grunts” Barbara and Van Richards are some of the earliest inhabitants, with the aim of getting the colony systems up and running. They and their fellow colonists struggle against balky equipment, deadly accidents, and the unforgiving lunar environment in a common quest to see the colony survive and thrive. In the end, one will leave, one will stay, one will teeter on the edge of indecision, and one will sacrifice their life so another can live. RINEHART: I originally called the novel Mare Nubium, since that’s the lunar formation where the colony is located — the “Sea of Clouds.” But my beta readers and my wife convinced me that the Latin title might resonate with people who already knew about the lunar “seas” but could fall flat for other potential readers. I struggled for quite some time to find an alternative. Eventually I settled on the current title because at one point in the novel one of the supporting characters, upon first arriving at the colony, remarks about “walking on the Sea of Clouds” and I thought that was evocative enough that it could apply to the whole novel. VENTRELLA: What is it in your background that interested you in writing this kind of book? RINEHART: My first assignment in the Air Force was as a bioenvironmental engineer at what was then the Air Force Rocket Propulsion Laboratory (and for someone with a deep love of all things space-related that was a dream job!). My routine duties included industrial hygiene and environmental protection — essentially, making sure our test operations didn’t make our workers sick or harm the environment. At one point I reviewed a research proposal for scrubbing aromatic hydrocarbons from spacecraft atmospheres, and it got me thinking about the difficulty of maintaining a closed environmental system over a long period of time. I decided that the people who would have to do that job might have stories to tell. In addition, one of my additional duties was as the chief of the lab’s Disaster Response Force. In that role I directed the responses to a couple of real-world emergencies, so I had the opportunity to apply what I’d learned about the hazards associated with rocket tests and rocket propellants. That got me thinking about various accident scenarios that would make life in a lunar colony even harder. I hope I was able to convey some of the emotions and confusion that are part of dealing with difficult and potentially deadly situations. VENTRELLA: What kind of research was required and how did you do it? RINEHART: Remember that the first inklings of the story came to me during my very first USAF assignment, which was about 20 years before I actually started writing it! In the interim, I had several additional space-related assignments: building and maintaining facilities for processing launch vehicles, controlling spacecraft from ground stations, and so forth. During each assignment, I collected and filed away little tidbits of information about new research or new inventions, about the relationships between prime contractors and their subcontractors, and in the case of my remote tour in Greenland about the stresses that people undergo in geographically separated environments. All of that became “grist for the mill,” as the saying goes. Besides collecting a variety of different materials, only some of which made it into the novel, I needed to get some sense of the geography my characters would be traversing during the story. So I spent a good deal of time poring over NASA photographs of lunar formations. The nice thing is that NASA has a wonderful online repository of photographs from the Apollo-era up to the Lunar Reconnaissance Orbiter. I was also able to glean useful tidbits from various science panels at conventions! VENTRELLA: How did you go about finding an agent? RINEHART: Ha! If I had one, I’d be able to tell you. I tallied it up the other day, and I queried over 60 agents over a period of several years, a handful of whom actually looked at the full manuscript before deciding not to represent me. I’m not sure whether it was that I never got the hang of writing a compelling enough query letter, or that this novel didn’t fit an easy category like “space opera,” but very few agents asked to see even a partial manuscript. All told, I got replies from just over two-thirds of the agents and never heard back at all from the remainder. VENTRELLA: You’ve been involved in the publishing industry for a while now. Did that help you? RINEHART: I think it did, primarily in terms of recognizing that publishing is a slow game, especially in the “shopping around” stage. I know how many submissions we get at Baen Books, and that we pay a lot of attention to the ones that are interesting to us, so I didn’t mind giving publishers a good deal of time to make a decision. VENTRELLA: What did you learn from your years working in the industry? RINEHART: Lots of things! How not to approach a publisher, for one thing; it doesn’t make a good impression, for instance, when you address your letter to one publisher but send it to a different one. But one of the main things I’ve learned, that was harder to fathom when I was just on the writing side trying to break in, is that sometimes a story just isn’t right for a particular publisher. A story rejected in one place can get accepted in another place, not because there was anything in particular wrong with the story itself but because it didn’t fit what that one publisher needed at the time. RINEHART: Wow, that’s an excellent question! We could almost put together an entire convention panel, or even a curriculum, based on it. My first thought is that storytelling and writing are two different but complementary skills. We all learn to tell stories, whether they’re true accounts of how we rescued a lost animal (and please can’t we keep it, mommy?) or made-up tales of how someone else ate all the cookies. Some of us learn to tell those stories better than others. Some of us are very matter-of-fact: here’s what happened, and that’s all. Some of us learn to add details to make the story come alive, and to insert complications and conflicts to increase the dramatic tension — or to relieve tension with a touch of comedy. And maybe the fact that some of us struggle with storytelling indicates that it does come more naturally to others. Likewise, in this modern society most of us learn to write, even if all we write are grocery lists and the occasional message (whether electronic, as texts or e-mails, or actual letters). But written language is an artificiality; as a result, learning it is a much more mechanical process: subjects, verbs, modifiers; spelling, punctuation, grammar. As such, learning how to write is less “natural” than learning how to tell a story: most of us tell our first stories, after all, before we know how to write them down. And because we don’t all take to schoolwork and lessons with the same gusto, some of us learn the mechanics better than others. When it comes to techniques, then, the techniques of storytelling are certainly different from the techniques of writing — but each can be studied, practiced, and improved. A hesitant storyteller can become better: smoother and more confident. An inarticulate wordsmith can become better: more skilled and comfortable with language. But whether either becomes “good” will be for their audiences to decide. RINEHART: Whenever self-publishing takes the form of companies preying on unsuspecting writers, taking their money and producing shoddy copies of questionable content while making promises of fame and glory, I’m against it. But current self-publishing practice offers something more in terms of authors taking control of their own content and finding audiences receptive to their work, and that is quite marvelous. Some authors have succeeded very well, and others have not; but in every case, whether a book is published by a big house, a small press, or independently, the venture involves taking a risk and the possibility of failure. One of the great things about self-publishing is that it allows us to serve niche audiences that traditional publishing cannot. For a non-literary example, most “filk” music recordings — primarily science-fiction-and-fantasy-related music — are self-produced because the audience for nerdy music is fairly small; thus, I self-published (so to speak) my two music CDs (Truths and Lies and Make-Believe; and, Distorted Vision). I also took advantage of another feature of self-publishing, the ability to reach different audiences, when I put out a completely revised edition of my nonfiction book, QUALITY EDUCATION. The book had only been available in hard copy when it was first published, so after the rights reverted to me I decided it was worth making it available in e-book form. I will add that this is often a difficult thing to do, and I have at times failed miserably at it (quite recently, even). But that doesn’t negate its value as advice. 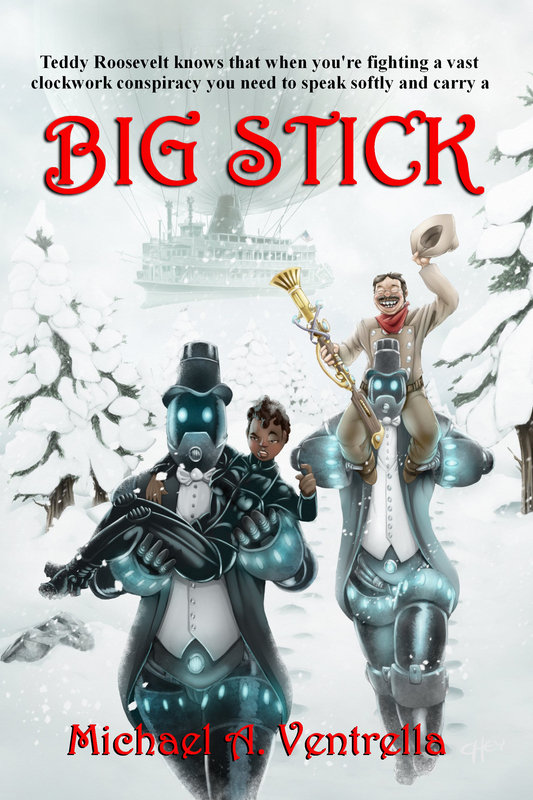 RINEHART: I hope they want to read about believable characters, because I worked hard to make my characters believable — even the ones who are a little bit “larger than life”! In all seriousness, this question may be one of the things that differentiate genre readers — especially science fiction or fantasy readers — from readers of mainstream or literary fiction. In genre fiction, we expect to find characters to be placed in situations that require special talent or cleverness or strength or something beyond what we might encounter in normal, daily life. In much of my science fiction, and particularly in Walking on the Sea of Clouds, it’s a high degree of technical competence and problem-solving skill, coupled with professional discipline and a strong will to survive. Those are all qualities we can find in ourselves or people we know, but what makes them larger-than-life in my story is where they have to be applied: one of the most inhospitable places in the Solar System. But even when a character is “larger than life,” by having some extraordinary ability or determination or inventiveness in difficult circumstances, we have to make that aspect (or those aspects) of the character believable enough. By that I mean that the character has to fit the story in such a way that the reader finds them believable. We have to structure the story, and the universe in which the story takes place, such that the character’s abilities and persona make sense and are important to the story’s outcome. For instance, sometimes we’ll know right away that a character has superpowers, and by that we’ll know what kind of story we’re reading. Sometimes we’ll know that a character is special for some other reason — tremendous drive, or ambition, or a particular ability, or heart, or whatever quality it is that sets them apart from “normal” or “average” people. How we portray the character, the goals the character wants to achieve, and the obstacles the character must overcome to reach those goals, will determine whether our readers think of the character as believable. And it may be that the more believable we make those larger-than-life characters, the more readers will admire and want to read about them. RINEHART: “Write what you know.” I don’t mean that it’s always bad advice, but that it’s easy to take badly. “Write what you know” does not (and I mean not) mean “write only what you know,” but it’s easy to take that way. I took it that way when I was about twelve or so: I wrote to a fairly famous author — not a genre author, I should point out — who replied with a nice enough note but said the space-related subject matter I was working with was too much for my young self to handle. He said I should write about things closer to home because then I’d be writing what I knew. That was not as encouraging as it might have been, and not too long thereafter I gave up writing fiction because I took it to mean I should only write what I knew. Obviously I got over that attitude … a decade or two later. Instead of “Write what you know,” I prefer what Orson Scott Card told us at his Literary Boot Camp: “Know what you write.” In terms of subject matter, if it takes research to know enough in order to write what you want to write, then do the research and learn what you need to know in order to make your story coherent and realistic. Beyond just subject matter, think clearly and carefully about your worldbuilding, about the motivations and emotions driving your characters, about the ramifications of their actions, and so forth, so that you know your world and know your characters and know the story you want to tell. VENTRELLA: We’ve both been guests at various conventions over time. How important are these for networking for a new writer? RINEHART: I’ve found conventions most valuable in terms of building friendships in the industry; i.e., making personal connections more than business connections. I need, and I think many of us need, the reassurance that there are like-minded souls out in the world, toiling in similar fields and experiencing similar joys — and even similar disappointments. That’s not to say that business connections never get made; they certainly do, and we can be open to those possibilities, but I find it more satisfying to think of “all my friends in fandom” (a phrase I use in the chorus of my song, “Dead Dog Party”) rather than my associates or collaborators or whatever else we might call one another. RINEHART: At present, I’m struggling with a fantasy novel. It’s grown in scope since I first imagined it, and is now larger and more complex than I wanted it to be, and my progress has slowed considerably as the scope has grown. Either it’s going to overwhelm me or I’m going to be able to rise to the challenge, but at this stage it feels pretty doggone overwhelming! Wish me luck.